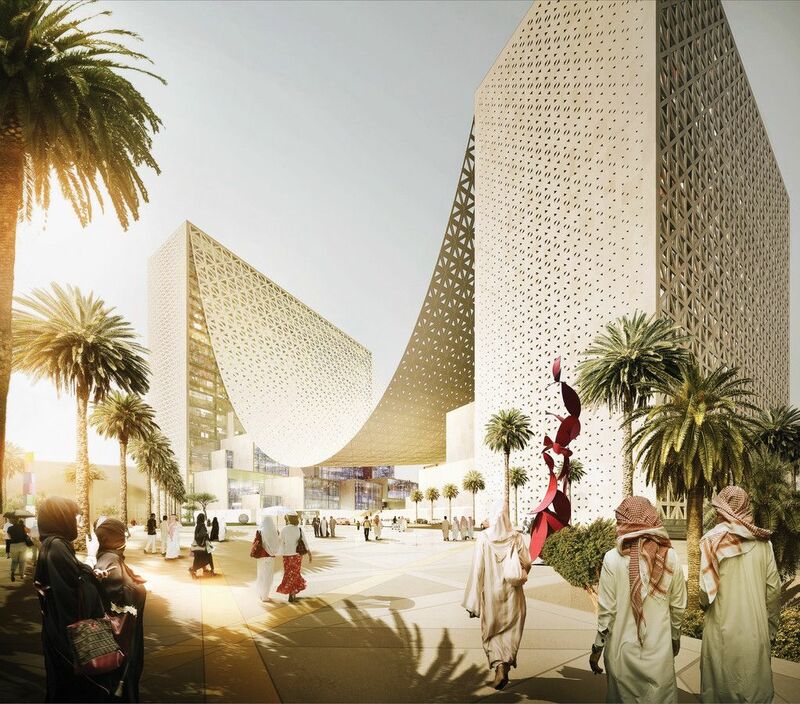 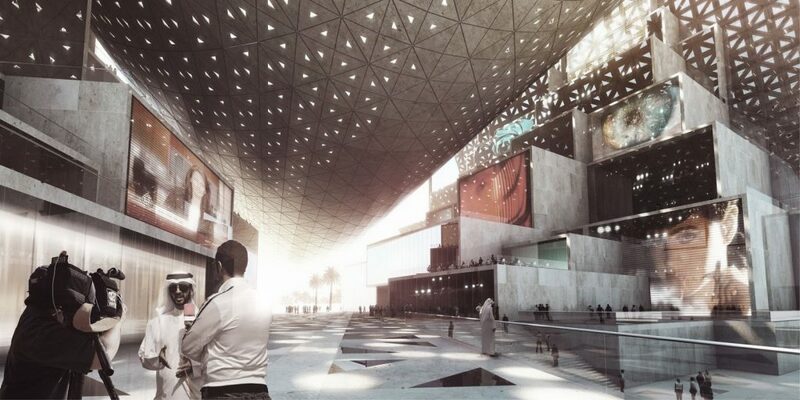 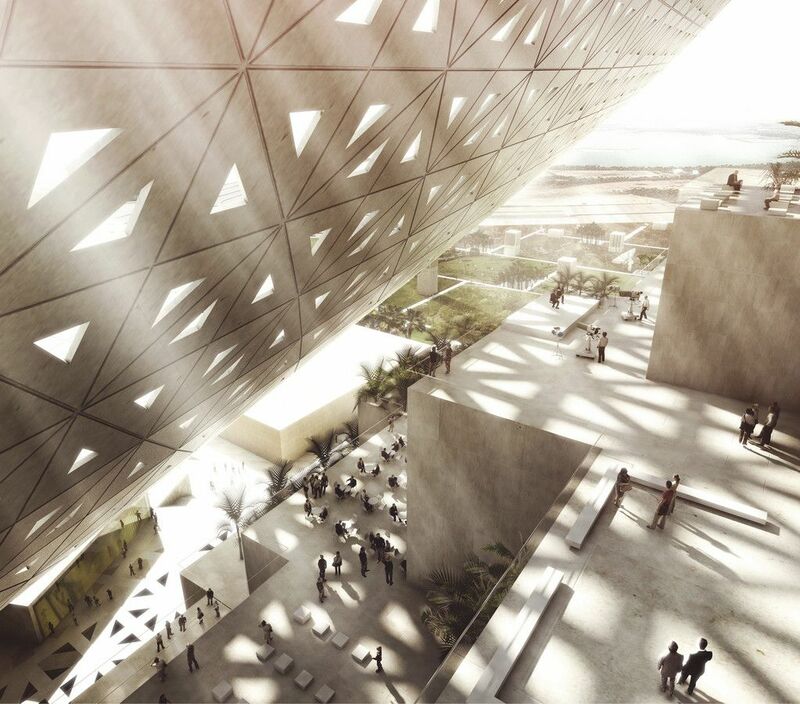 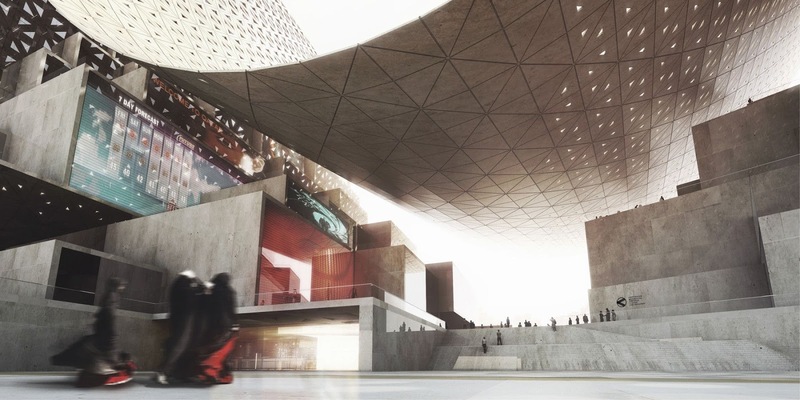 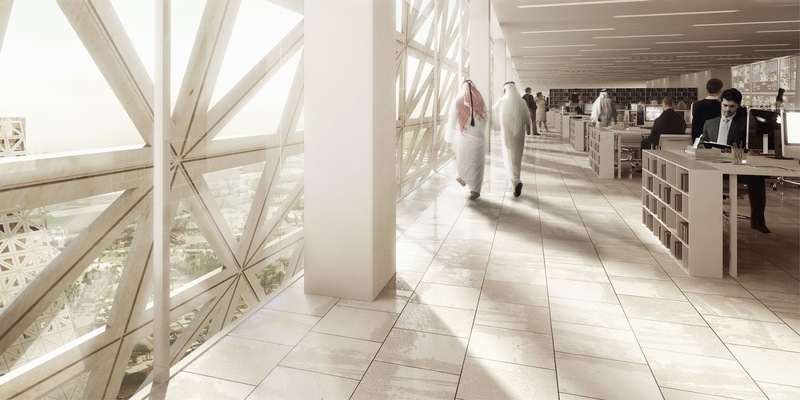 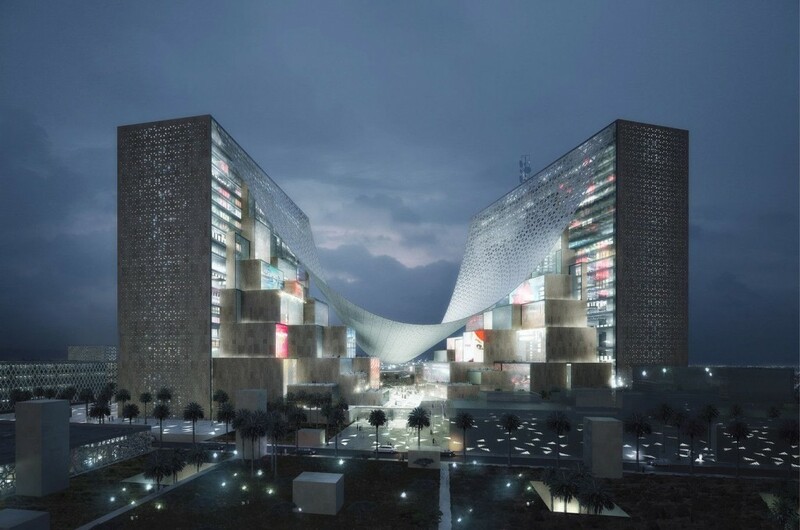 A competition to design the new headquarters of an unnamed media group in the Middle East has received this proposal from Bjarke Ingels’ architecture firm BIG. 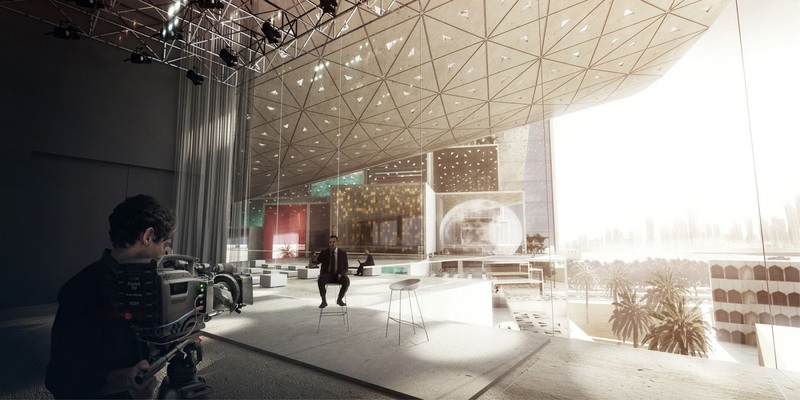 With two buildings connected by a giant tensile canopy, the design evokes a blanket fort that a child might engineer between a bookshelf and dresser. 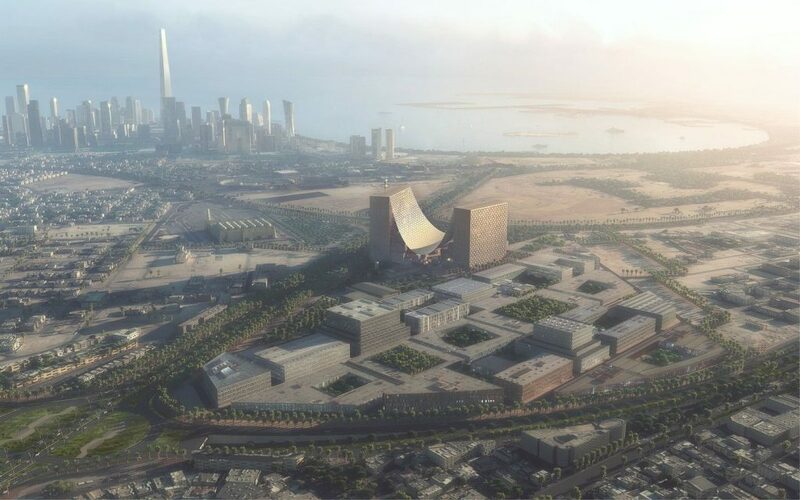 The sprawling proposal, which would span nearly 7 million square feet, was designed to encourage communication among the buildings’ occupants, with a massive communal space in between the two cuboid towers and garden terraces on top. 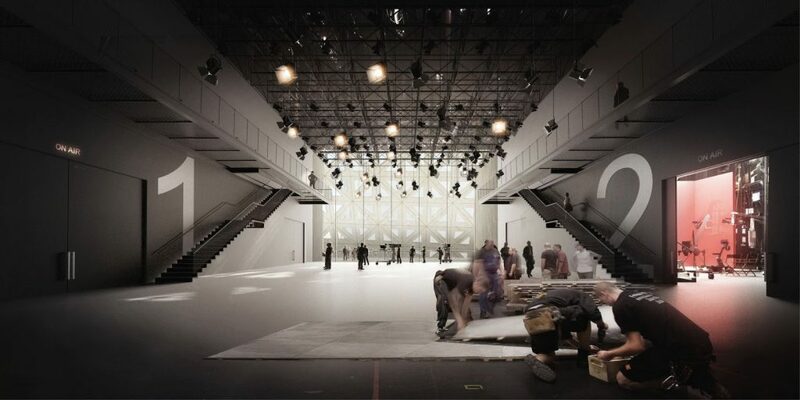 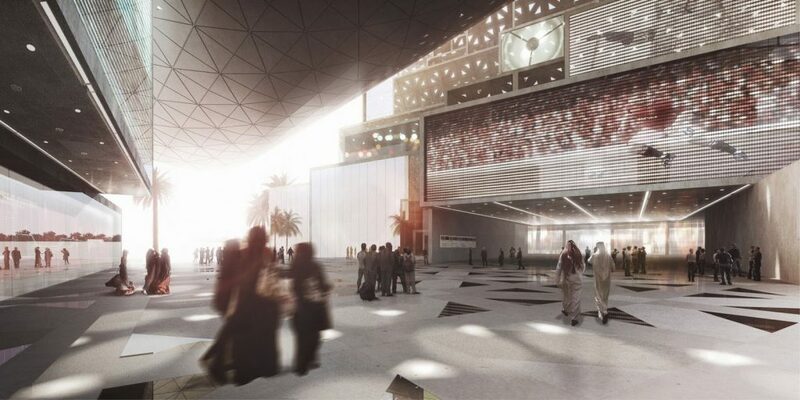 Besides offices and broadcast facilities, the plan also calls for dining facilities, a gym, bank and auditorium. For more info and images on the proposal, take a look at designboom’s in-depth coverage.